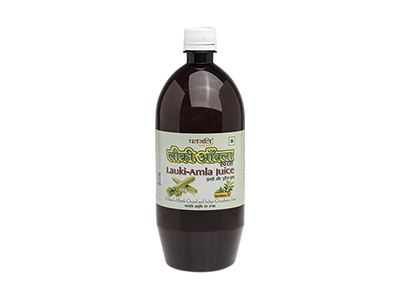 Patanjali Lauki Amla Juice is made form fresh and quality tested natural extracts of Lauki and Amla. 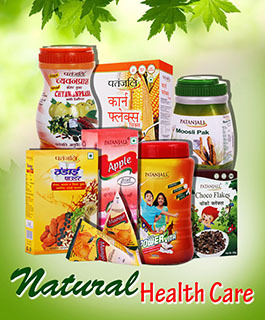 It is a storehouse of minerals like calcium, iron, magnesium, phosphorus, potassium, sodium and zinc. 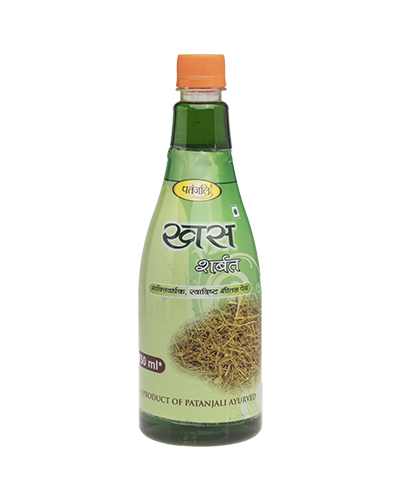 It is also low in fat and cholesterol, which makes it an ideal health drink. 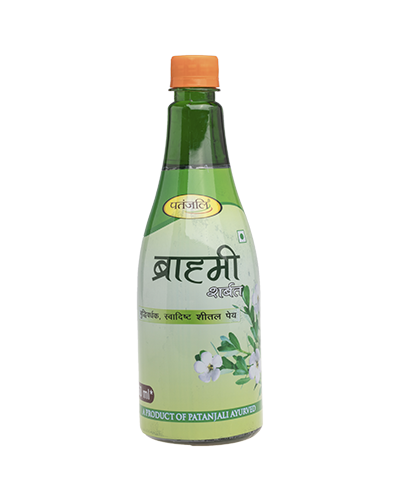 It contains vitamins C, vitamin B1, thiamine, B2 riboflavin, B3 niacin, B6 and vitamin A. 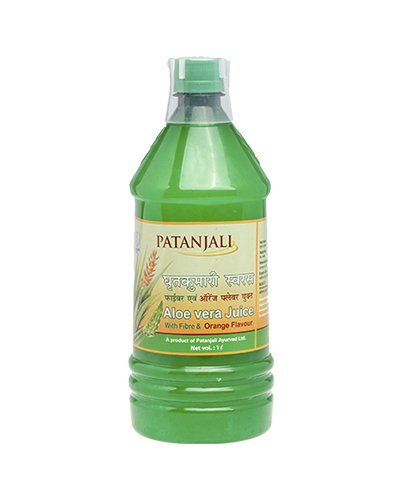 It works by treating a wide range of ailments; possessing the antimicrobial activity; exhibiting the free radical scavenging activity; producing the laxative action; inhibiting the muscarinic receptors and calcium channels; possessing a broad spectrum of antimicrobial activity; treating urinary tract and other infections; possessing the antioxidant activity. 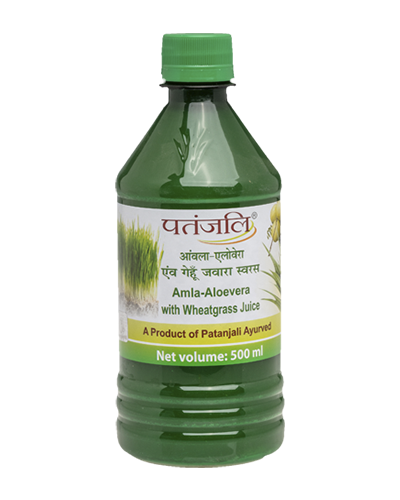 It is used for diabetes, jaundice, ulcers, piles, colitis, hypertension and other conditions. 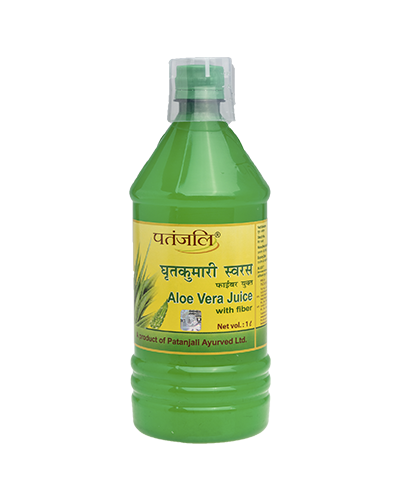 It is also used as a supportive treatment for cardiovascular disorders, fungal infections, urinary tract infections, microbial infections , oxidative stress, constipation, wound infections, typhoid fever, cholera, tuberculosis, gonorrhea acne and neurodegenerative disorders. 15-20 ml. as whole or equal proportion with water or as directed by the Physician.